In our body hair is one of the complex tissue and finding the solution with the particular reason behind hair loss is difficult. Yes, there is a chance to reverse hair fall anytime. Male pattern baldness affects both men and women. However, this type of baldness is occurred due to the hormones DHT ( Dihydrotestosterone ) as these attract on the hair follicle and this also weaken the hair which turns into thin and brittle. When the hair regrows in the scalp then it has weaker vellus hair. Nowadays many treatments are available for baldness and these treatments show successful in controlling the DHT hormone. And controlling the DHT is a permanent solution for hair. Everywhere across the globe, today many people suffer from baldness and they are depressed with this condition. As in this pattern the state of having no hair or lacking hair. In baldness, the pattern varies from person to person. If you really want to control hair loss naturally then two method help to solve this – massage or by eating a healthy diet for hair growth. Due to internet impact on society, many people use different types of home remedies only by seeing the internet without consultation in hopes that there is no side effect would appear. As these remedies are no side effect but are may harm your health. Taking a proper solution from proper guidance from the doctor will always be beneficial. Today, onion is one of the most searched home remedies for hair growth and every people who are suffering from hair problem around the world believe that these remedies will promote hair growth and stop hair loss. Does onion juice work in hair loss? Onion juice is a known remedy for hair health, specifically for hair loss. From the ancient times, onion has used in preparing medicines as researches found many essential nutrients like vitamins, minerals, sulfuric compounds and many other. In a small study published in the Journal of Dermatology, researchers indicated that applying onion juice to the scalp might help to regrow hair in some people. But there is no guarantee, as the benefit doesn’t show by many people and there is also not so strong evidence to prove that onion juice work in hair loss. The problem like alopecia or patterned baldness is not a sure cure of this condition. 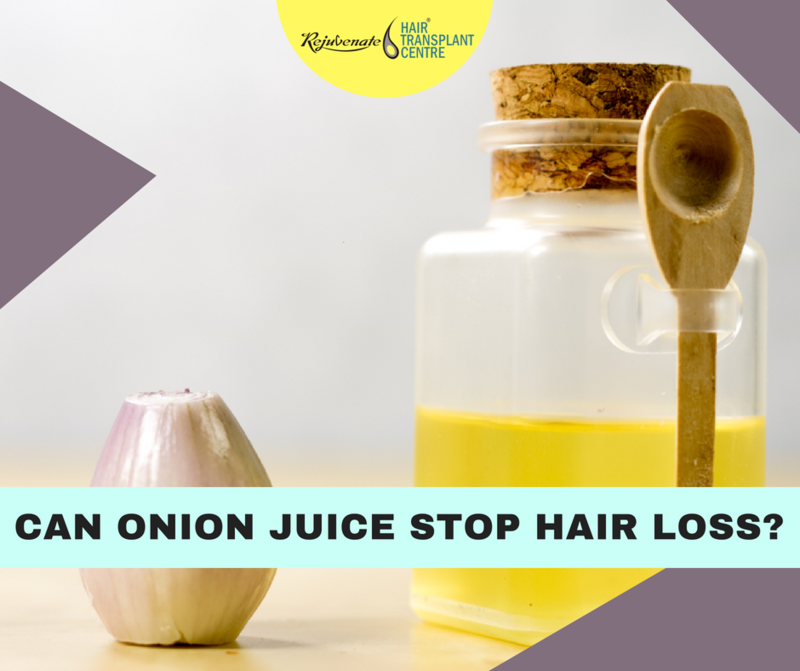 For onion juice, studies support that it stimulate and protect the current hair but there is no clear evidence which tells give surety to reserve the hair loss. As hair loss is very common and may involve bald patches, complete baldness or gradual thinning. But the common cause of hair thinning or hair loss is a hereditary condition which is known as androgenetic alopecia. Other causes for hair loss are also there which include a side effect of medicines, hormonal changes and many are there. In hair loss, science says that the onion is very beneficial for health and if it is taken as in food then it will help in hair loss. However, need more research to know how onion juice is benefited in hair loss. Onion is SAFE when you take by mouth and but when you applied the onion juice on the skin then the possibility of safe is not fully assured, as many people face irritation problem when they applied on the skin. As onion juice is very strong so also avoid from sore areas. Hair loss (alopecia areata) – Some people suggest applying onion juice to the scalp for a few weeks as it improves hair growth. But they are sure about it. As this happens because every person gets varies result and their experiences but the evidence is not proper. Diabetes – It suggested that adding onion three times daily reduce blood sugar and help in diabetes. High blood pressure – It suggested that taking a specific product containing onion, olive oil, grape skin extract, vitamin E, vitamin C and folic acid daily for one week might lower systolic blood pressure (the top number) but not diastolic blood pressure (the bottom number) in people with high blood pressure.